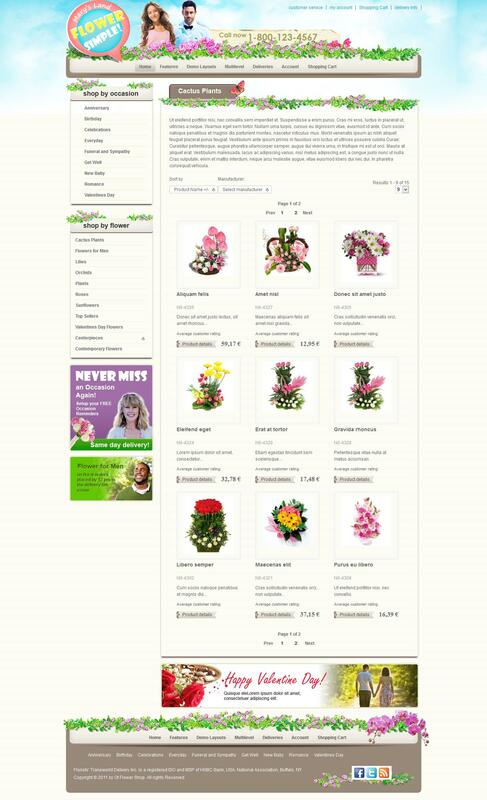 OT Flower - bright template online store from the design studio with full support OmegaTheme component Virtuemart 2.0. Template made in bright colors, fully optimized for search engines and includes 3 preset color schemes that provide a stylish look of the site. Using a flexible platform Solid Framework attaches great functionality and fast loading template.